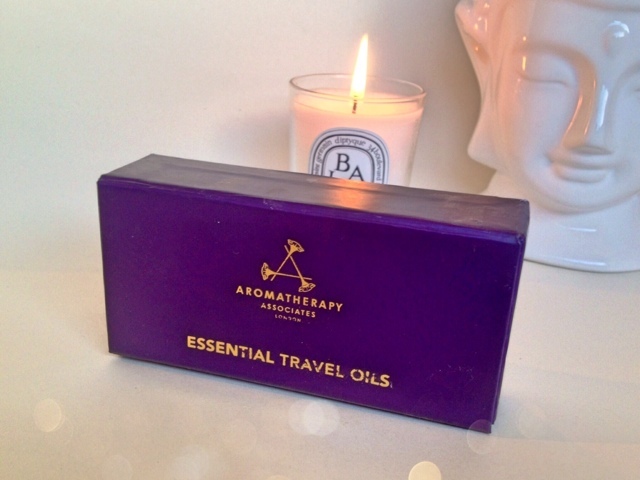 Aromatherapy Associates is a brand that has been knocking around the blogosphere for some time and a brand that I thought was well over hyped, I mean how good can a bath oil be? The brand itself is high end and carries the high end price tag that goes along with it. Not really wanting to spent £39.00 on a bath oil (for 55ml), I pushed it to the back of my mind and carried on with life. 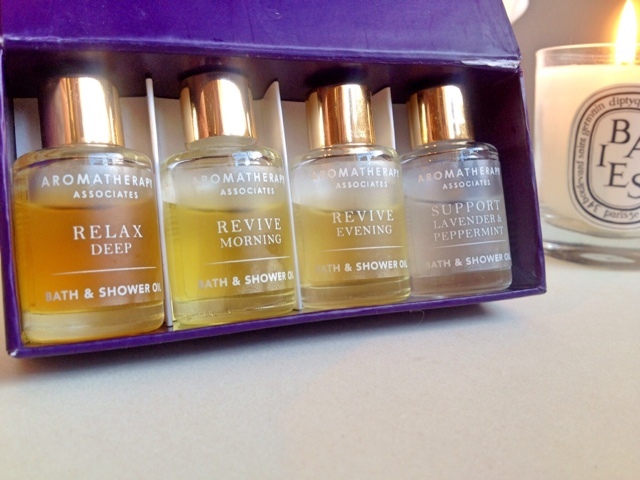 Recently SpaceNK we're doing a gift with purchase and one of the gifts was this travel size set, containing four bottles of the much talked about bath and shower oils. Each bottle is 7.5ml and filled with essential oils that are created to relax or simulate you in the mornings and evenings. Deep Relax contains Vetivert, Chamomile and Sandalwood, these are said to "simulate an exhausted immune system" as well as adding a comforting blanket around you. The scent is warming and herby with a hint of menthol. Evening Revive contains Geranium, Patchouli, Ylang ylang and Sandalwood, these are said to "enhances feelings of self esteem and sociability" as well as increasing self confidence. The scent is more floral than Deep Relax with a rich earthy undertone. Morning Revive contains Pink grapefruit, Rosemary, Juniper berry and Pine said to be "invigorating" which wakes up body and mind. The scent is fresh with a minty, zesty twang. Support - Lavender and Peppermint contains as the name would suggest lavender and peppermint, said to "Cool and soothe skin" while "Gently relaxing" you. The scent is exactly what is says on the bottle floral and cooling, the most subtle aroma from the set. 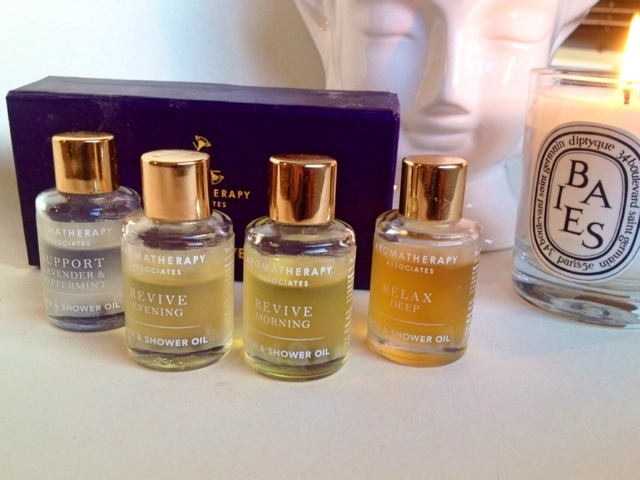 The oils are potent and you only need to use a cap full in your bath to fill the room with the captivating fragrances. The aroma seems to linger on the skin and fill the whole house. I can still smell it the next day when I walk past the bathroom. I haven't used them in the shower yet which is suggested you can do but I think I would use too much product and prefer to save them for bath time use only. The "relaxing" oils did in fact relax me, now I don't know if this was mind over matter but they did leave me feeling sleepy with a warm fuzzy feeling. I am a little sceptical when it comes to things like this so I was surprised that they actually worked. I like most people find having a bath relaxing in itself but these did go that step further. I would definitely recommend them to people that struggle with sleep to give them a try. Have you tried these oils? What did you think of them? I would be apprehensive in spending that much money before trying out too. I think the miniatures are a great buy to try before you buy a full sized oil, xoxo. These look so lovely! I'd love to try something like this, i love facial oils! Thanks for the link, I'm following!